As is true with most parents I just love to make my kids smile! It makes me feel so warm and fuzzy inside. 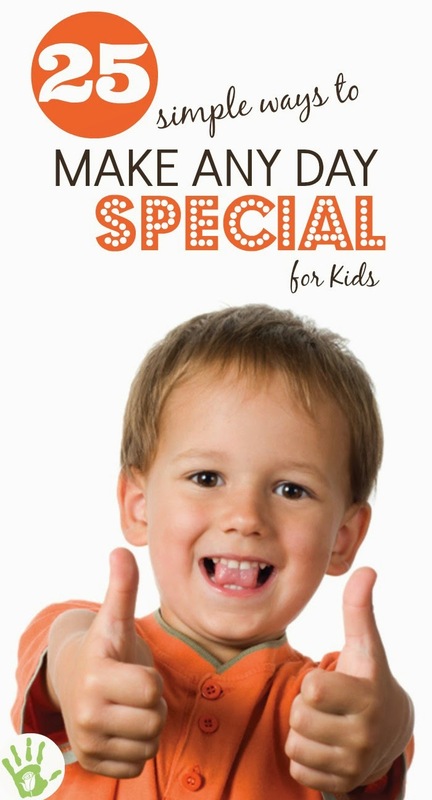 There are lots of simple ways to make make an ordinary day special for kids. Here are some of my favorites. 1. Put a tattoo on their banana This is easy; just apply the tattoo the way you normally would and allow it to dry. My girls are always so tickled when I do this! 2. 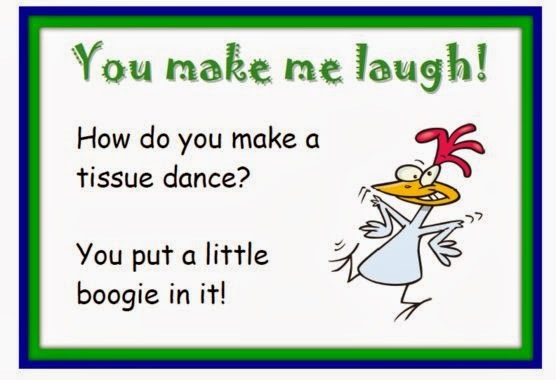 Tuck a note or a joke into their lunch What a fun surprise! You can print lunchbox jokes for free here. 3. 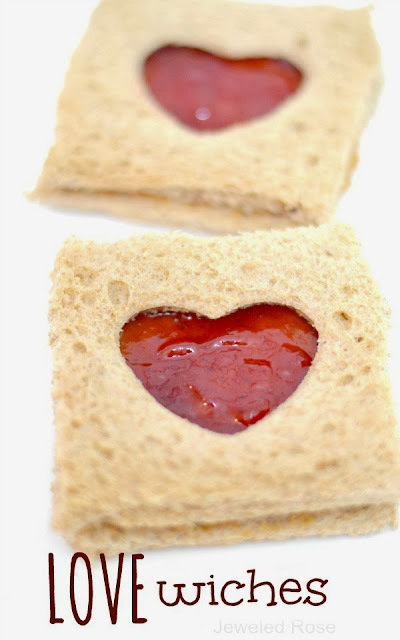 Make your child a fun shaped sandwich All you need is a cookie cutter and one second of extra time. You can make tons of shapes. One of my girls favorite lunch surprises is LOVEwiches. Be sure to visit my "Fun with Food" Pinterest board for tons of other ideas for making meal time FUN. 6. Let them pay When you are paying the bill at a restaurant let your little one hand the check to the server. When checking out at the grocery store why not let them hand the bank card or cash to the cashier? This never fails to make my kids smile. I mean, all they want is to be big and grown up after all. 7. Tell them a joke or two Silly jokes always make my girls smile and are a great distraction for times when we are waiting; waiting in line, at the doctor, or waiting in traffic. 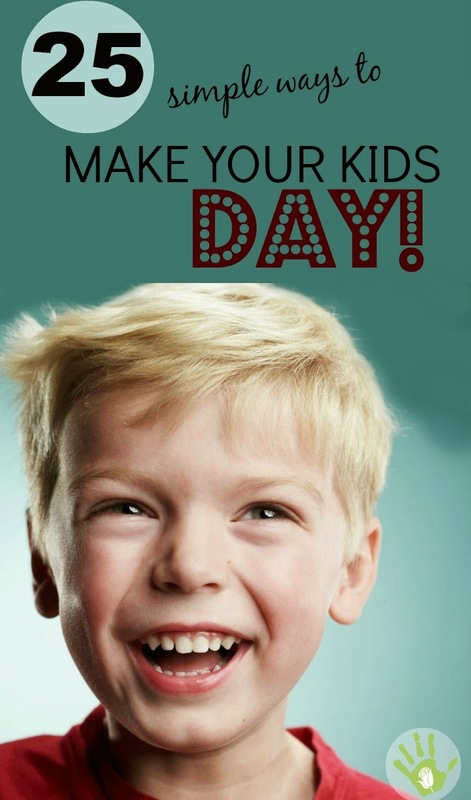 Why not tell your kids a joke while waiting at a red light or in the check out line? 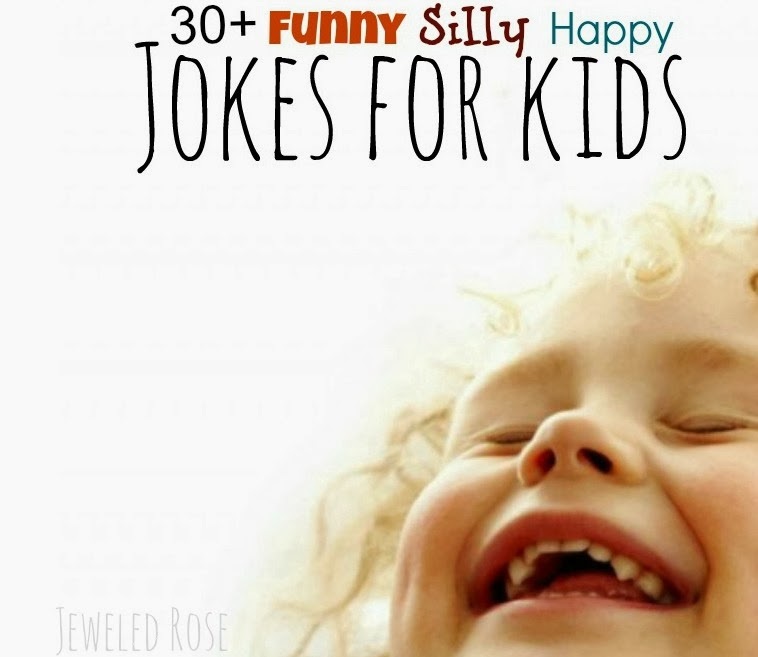 Here are over thirty kid jokes that my kids LOVE! 8. Read them an extra story We usually read Rosie and Jewel three stories at bedtime, but every once in a while we surprise them with an extra one. It only takes a moment longer and makes them so happy. 9. Play a kid song or two while in the car Don't get me wrong, I love my music time while I am driving, but it is not a big deal at all to let my girls hear a tune or two every now and then. I have a few kid cds with songs like The Wheels on the Bus on them, and every once in a while I surprise Rosie and Jewel by randomly playing a few of their favorite songs. 10. Give them a sticker or a stamp Did your kid get their shoes on the first time you asked? Did they eat all their veggies without your having to ask? How about giving them a sticker or a stamp to say good job! I keep stickers in my purse and occasionally give them to my girls. You should see the smiles I get in return. 11. Let them pick dinner About once a week I will ask Rosie and Jewel what they want for dinner between three or four options. They are always so tickled to get to choose. 12. Have a tickle fight A good, old fashioned tickle fest only takes a few minutes and gets the whole house laughing and having fun! 13. Let them have cookies for breakfast What, cookies for breakfast? Quaker now has oatmeal cookies. They are reasonably healthy, and to my girls they are still COOKIES! 14. Play a game over breakfast Set up one of your kids favorite board games at the breakfast table before you go to bed and play while you eat breakfast the next morning. No extra time is needed (you'd be eating anyway) but mealtime will be so much more fun and extraordinary! 15. Color with your child Every once in a while when Rosie and Jewel are coloring I will take a minute or two and sit down with them to color. This simple act always makes them SO HAPPY! 17. Write on the bathroom mirror Make sure it is a mirror that the kids use and surprise them with a special message or drawing. I often write, " I Love You!" with hearts. When the girls see it they always smile and giggle. 18. Send them mail Drop a piece of mail in the mailbox for your little ones, and when it arrives they will be so excited. You can mail them a note, a picture, some stickers..... endless ideas really. This only takes a minute and will make your kids whole day! 19. Measure to see if they have grown Rosie and Jewel LOVE to be measured and are especially enthralled when they discover they have grown taller. 20. Take your kids to the Dollar Tree and tell them they can pick out one thing, anything they want. Hey, I don't mind paying a dollar to make my girls faces light up. 21. Let your kids eat with a finger spork These are so fun and very inexpensive, too! Get them on Amazon here. 22. Let your kids pick out their clothes You can go all the way with this or make it more simple if you are worried about what they might pick ;) Give your child free rein over their closet OR let them pick between two or three outfits. 23. Add glow sticks to the water at bath time They sell glow sticks at the dollar store, and it only takes a minute to toss a few in. Rosie and Jewel LOVE when I do this! 24. Color their hair You know that colorful hairspray? Well I keep a few cans on hand and occasionally surprise the girls by letting them make their hair colorful. They get to pick the color and giggle like crazy when they look in the mirror. 25. Give them lots of hugs, tell them you love them, and look them in the eyes when they are talking and when you are talking to them. 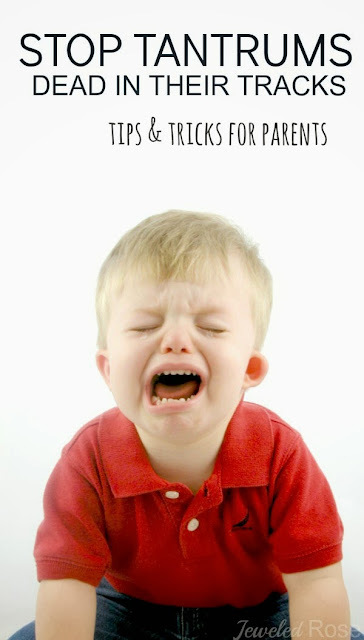 Life gets busy, and we parents get grumpy. 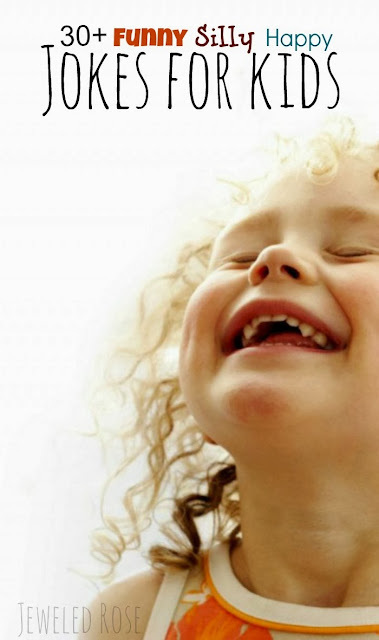 Nothing makes a kid feel more awesome than knowing they are loved. Who ever gets tired of hearing it, right?